Your player’s league age is determined by the Little League Baseball® Age Charts. The dates for baseball and softball are different, but each determines the division in which your Little Leaguer will play this season. 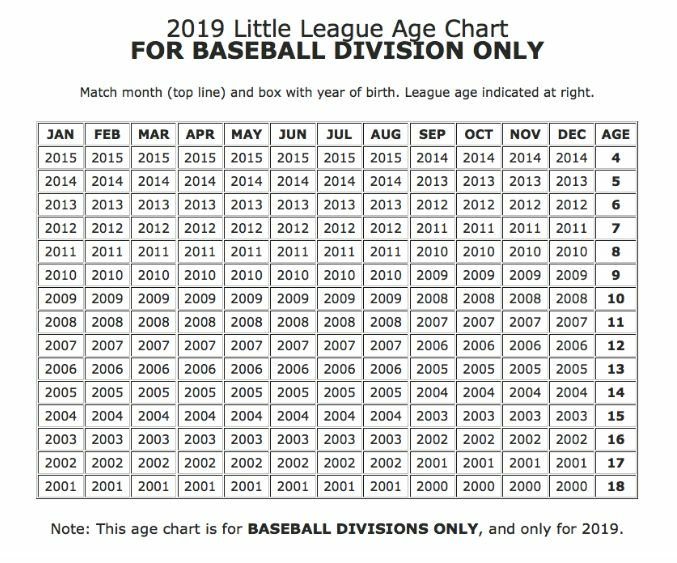 The Age Determination Date for a Little League Baseball player is the actual age of a child as of August 31 of the current year.